So I took over a new position at a company, and we had been using Discourse - then moved to AnswerHub ( ) and I am probably going to move us back to Discourse. I have used discourse before - but this install wasn’t really managed and no one knows what/how to access what’s currently running, and I need to get logged in and start Admin’ing it (it’s been set to Read Only). What’s the easiest way to get in here and get access to the Admin? 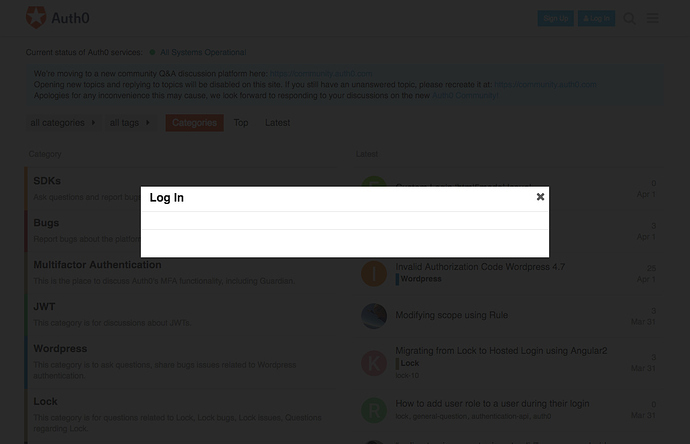 Awesome - will that walk through a process to create a whole new Admin? i will as soon as a reboot works - after rebooting the server I’m not able to connect to it - it’s denying my ssh key - so working with my server team. Feel free to PM me if they aren’t able to bring it back up. I can help you if you need any assistance. I, [2017-12-21T16:43:55.623611 #13]  INFO -- : &gt; echo "Beginning of custom commands"
156:M 21 Dec 16:43:55.657 * Saving the final RDB snapshot before exiting. Looks like you are dealing with a subfolder install. Check our guide Subfolder support with Docker and amend your yml file on the containers folder to follow it. We were already setup for folders correctly - it was actually due to creating symbolic links which already existed - so it failed. Now we’re back up… however, login is disabled due to being in read only mode. Any way to change this manually so I can login? Seems like it is locked in RO mode? There are 3 different types of read only. Looks like you have 0 enabled login methods . Go to /u/admin-login to login.